Spray chrome is used to give an object or part a finished look and luster that people desire. Chrome spray is applied in thin layers to the chosen surface, including metal, plastic, wood and glass. Chrome spray has several purposes, including decoration, preventing corrosion, increasing the surface strength and lessening the maintenance requirements. 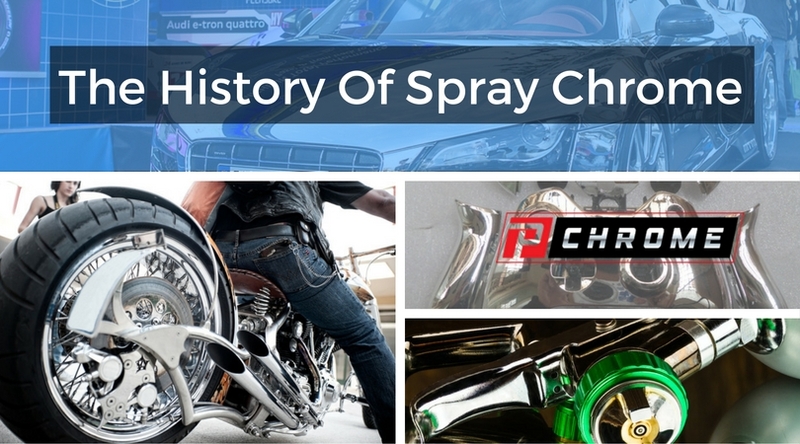 The history of spray chrome can be traced back to 1743 when Thomas Boulsover accidentally discovered plating. While he was working with silver and copper, he accidentally boiled the silver over, coating the copper. The mixture was called the Sheffield plate. After a couple of hundred years of electroplating, chrome spray was discovered in the early part of the 20th century. From 1911 to 1914, George Sargent conducted a study in which he attempted to produce 10 pounds of electrolytic chromium using one constant run. While his study was unsuccessful, his work did inspire others to work towards developing chrome spray. Colin Fink and Charles Eldridge, who were working at Columbia University, based their own work on the paper written by Sargent and figured out the correct proportions of sulfuric acid to chromic acid in order to chrome plate objects in 1924. That year, they formed the Chemical Treatment Company in New York. A rival company called the Chromium Product Corp. was also established, and the two merged in 1926 to form the Chromium Corporation of America. At that time, chrome plating was primarily used on advertisements. During the 1930s, a man named Marvin Udy discovered that applying 4.2 volts to the surface helped the chrome-plating process. After he was terminated from his job, another man applied for a patent using Udy’s work. While traditional chrome plating was going through the processes of development, a man by the name of William Peacock, Ph.D. founded Peacock Laboratories, the parent company of PChrome. Dr. Peacock wanted to discover a way to silver mirrors. At that time, silvering mirrors required the work of craftsmen, was very expensive and took a significant amount of time. This meant few people could afford to have mirrors because of their prohibitive cost. Through his work, Peacock invented a silvering solution to spray mirrors quickly and inexpensively. This resulted in companies being able to manufacture thousands of mirrors per day, which made them inexpensive and widely available. 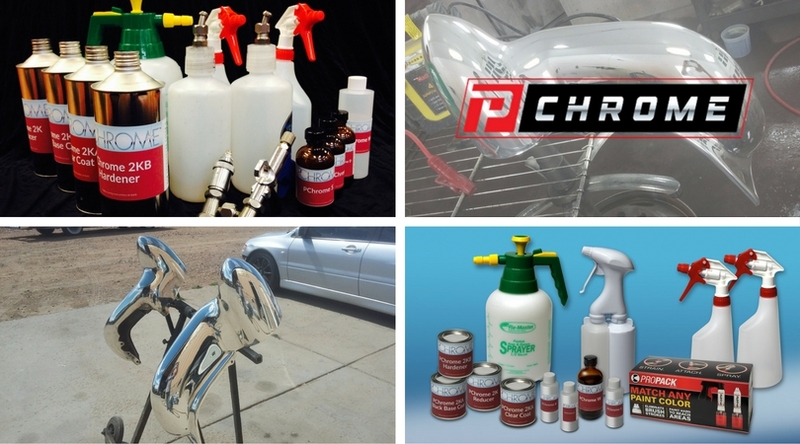 PChrome spray is available today and is able to be used on almost any surface type. Just as chrome plating has continued to develop and is now widely used for automobile trim and household features such as door handles, PChrome (chrome spray) hass also improved, giving the same durable, high-gleam finish without the lengthy wait or the use of toxic chemicals. To learn more about PChrome and the history of chroming, call us today for more information. PChrome is perfect for all your projects and applications.